HostGator.com is running a limited time special offer on all Windows Dedicated Servers with $100 off the first month! 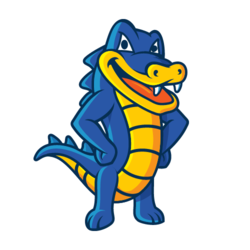 HostGator.com, a leading web hosting provider, has announced today that it is running a special promotion of $100 off of the first month on all Windows Dedicated Servers. With this special offer, Windows Dedicated Servers will be available from only $74 for the first month. All Windows Dedicated Servers include the latest Windows Server 2008 R2, all servers will come Microsoft WebMatrix ready and also offer Free Parallels Plesk Control Panel, Free SmarterMail Professional Mail Server, IIS Web Server, MSSQL, MySQL, FTP, DNS and 24/7/365 support via Phone, Chat & E-Mail. “We are very excited about this promotion. We are running this special to provide extremely high quality servers to our clients at an affordable price. This allows our clients to easily make the move to one of our great Windows Servers.” Said Shiraz Hussain, Director of Windows Department at HostGator.com.